So you want to transfer some fancy print onto your beloved table? Make it shabby chic or even more vintage – looking? Or perhaps you want to make shabby chic wooden plaque with printed theme on it? This tutorial is for you then. 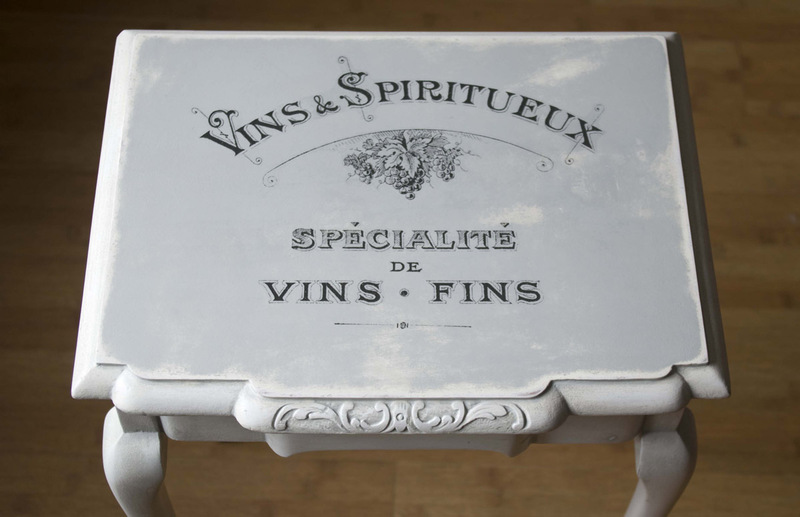 I will show how to make Shabby Chic furniture with transferring a print onto it. Most of the techniques of transfer any print onto flat and hard surface are covered on Graphics Fairy website. I however, would like to show you the way I mastered the most – an inkjet print on water decal. I do not say it is the only way, I do not say it is the best way of doing it either. All I say is, you can achieve quite amazing results with this technique, and I will try to explain you HOW TO DO IT, to achieve a results similar to this you can admire on Shabby Chic Nest of Tables of mine. Also you can buy blank Water Slide Decal Paper Sheets there in our online shop, the decals are availble in two sizes: A4 and A3. Hi, thank you for a great tutorial. I have been working on some photo blocks following your instructions. I spray the photo with 2 coats of varnish (same varnish as yours) but when I transfer the decal onto the wood, in some cases small green dots begin to appear on the photo. I can’t work out why this is happening, the only thing I can think of is that I have not covered the photo enough and there may be small holes in the protective layer where the water gets through. But I have sprayed 2 quite heavy layers which should be enough? Do you have any ideas why this is happening?